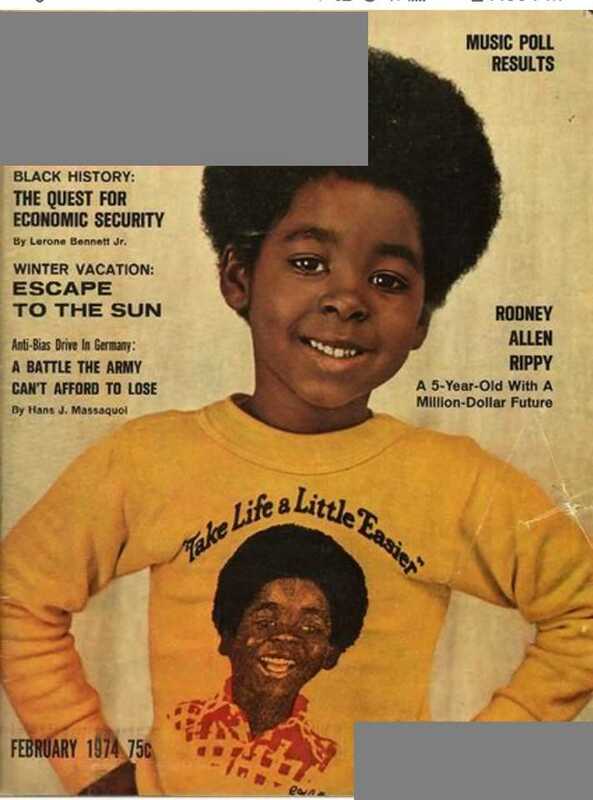 Rodney Allen Rippy, then five years old, appeared on the February 1974 cover of which magazine? This monthly began in 1945, six years prior to the other notable John H. Johnson magazine. Both the song "Take Life A Little Easier" and the catchphrase "It's too big-a-eat!" come from Rippy's TV commercials for which fast food chain? The image here is from an unrelated ad for this chain, as aired during the February 2018 Super Bowl. Just over a decade earlier, which performer of "Fingertips (Part 2)" had become the youngest solo artist ever to top the Hot 100? He was 13 years, 89 days old at the time. Rippy briefly appears (uncredited) in Blazing Saddles as the child version of Sheriff Bart. Which actor stars as the grown-up Bart? The actor from the previous question went on to appear as Mr. Foley in a December 1987 special Christmas episode of which 1980s sitcom? Described by one Gizmodo columnist as "less a TV show than an avatar of pure despair", that special begins in a cabin where the title character causes mischief by failing to understand how Christmas works. Mr. Foley drives to a hospital to hand out presents (dressed as Santa) and the title character befriends a dying girl named Tiffany. Getting back on theme, Rodney Allen Rippy guest-stars as a child with a broken bike (fixed by the bionic title character) in "The Blue Flash," an episode of which 1970s TV adventure series? Rippy plays himself (somehow the owner of a Manhattan apartment building) in "The Rent Strike," an episode of which 1970s sitcom? That episode aired two weeks before "The Roy Clark Show," in which Clark guest-stars as Oscar's old Army buddy. Rippy also plays himself in a short-lived (September 1974 to August 1975) Saturday morning variety show starring (and partly named for) which athletic team? The show from the previous question is also partly named for a machine used to make what? Decades later, in a February 2015 episode of New Girl, Nick is talking about this type of machine (though Jess doesn't realize that) when Nick says: "My biggest concern is the smell." Rippy made a few appearances (not as himself) in episodes of which 1990s sit-com, created by Lon Diamond and starring Corin Nemec as the title character? Appropriately enough, Rippy played himself in what 2003 David Spade movie that also featured (as themselves) Tony Dow, Maureen McCormick, and Emmanuel Lewis, among others? In 2013, Rippy ran unsuccessfully for mayor of which U.S. city? 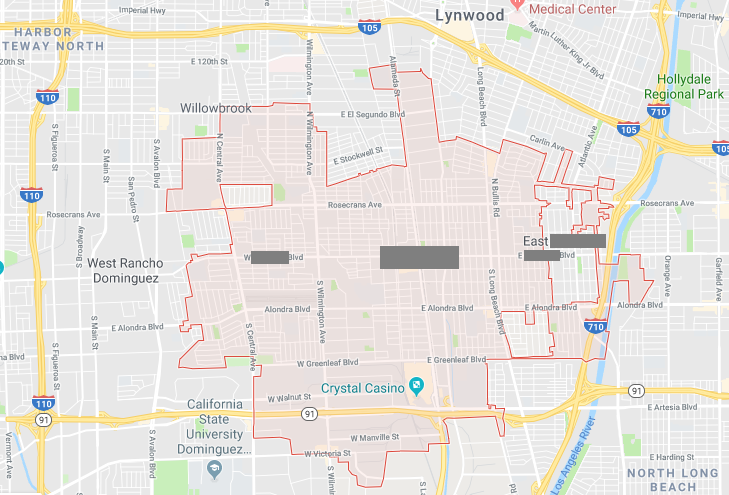 Aja Brown is the current mayor of this city, shown here (with obvious redactions).